The traditional method for recording inventory details in the spreadsheets (Excel) is no more an efficient tool for managing the apparel business. To manage and control the inventory in the store and warehouse, an inventory management software is an essential aid. Most of the apparel manufacturers are already equipped with an ERP software, for managing manufacturing business, that includes inventory management module. In this post I have listed 8 well-known apparel ERP systems that have inventory management module. If you are looking for an ERP solution for your business, you can look at these systems. 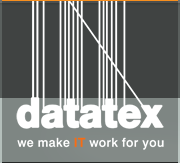 Datatex is an ERP solution that have inventory management module. Maintain Reorder levels and minimum order quantities critical products. BlueCherry ERP is one of the solutions for managing apparel business. BlueCherry is a product of CGS, Inc., an US based company that provides ERP, PLM and shop floor control solutions for the apparel supply chain. Apparel connect is based in Thailand. 7. Visual Gems by Optimal Infotech Pvt. Ltd.
VisualGEMS, an ERP solution by Optimal infotech. This company is based in Mumbai, India. Kandaree software by CSL Software Resources Ltd, based in Dhaka, Bangladesh. Kandaree Inventory Management offers a complete multi-store inventory Control system that keeps track of stock levels and processes inventory receipts, returns, and adjustments assisting you to manage the supply chain to meet your shipment target. Image source: Company logo and product logo are taken from respective company websites. Top apparel ERP solution providers, inventory management module for controlling warehouse and store room inventories.